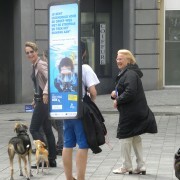 Do you want to implement Street marketing? 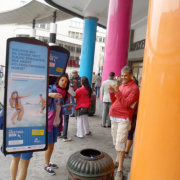 Street marketing™ is a marketing technique that extends from the simple distribution of your leaflets up to a presence within major events. 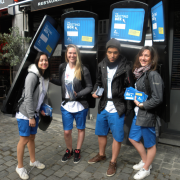 Our promogirls and promoboys hand out your flyers, make an animation linked with your product, and distribute your promotional items in mobile tours or special events. This approach strengthens communication campaigns, creates traffic and boosts your sales. Its principle is to identify busy locations to conduct a highly targeted campaign. Its goal is usually to create a buzz, surprise and bring your brand closer to consumers. Your messages reach their target through the development of interactive animations designed to make an impression. 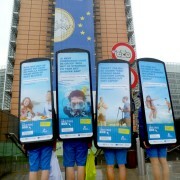 All 4 the EU takes care of everything, please contact us!